I picked this book up, not for reading pleasure, but simply for gaping at. The visuals are all-too-adorable and the tips are so cutely out-dated, I can hardly stand it. 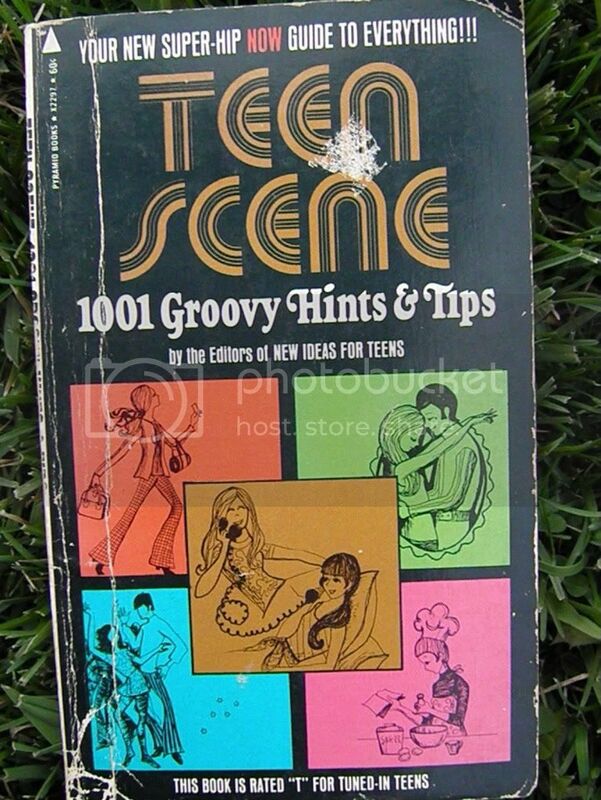 Just look at the title: Teen Scene: 1001 Groovy Hints & Tips. Your New Super-Hip NOW Guide to Everything!!! This book is rated "I" for tuned-in teens. Hee hee! Mmmmm. 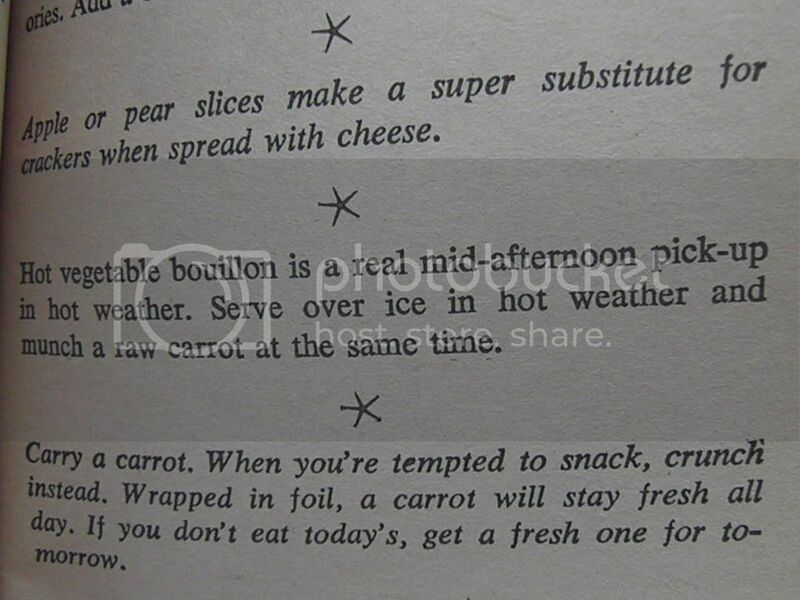 The vegetable bouillon/carrot diet. How healthy is that? Not very! Remember those side-to-side stretches in gym class? So that's how they got such straight, sleek hair. 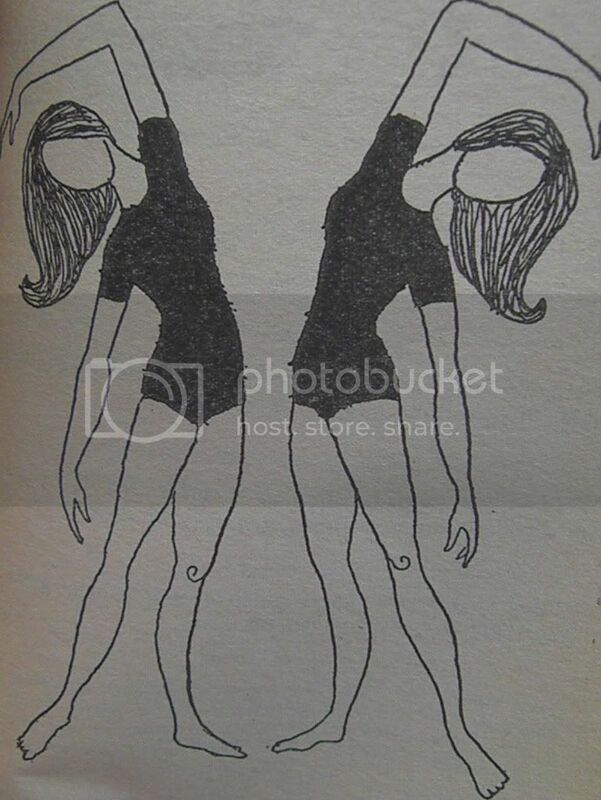 They wore nylon stockings on their heads at night. They never taught us that on Three's Company, now did they? 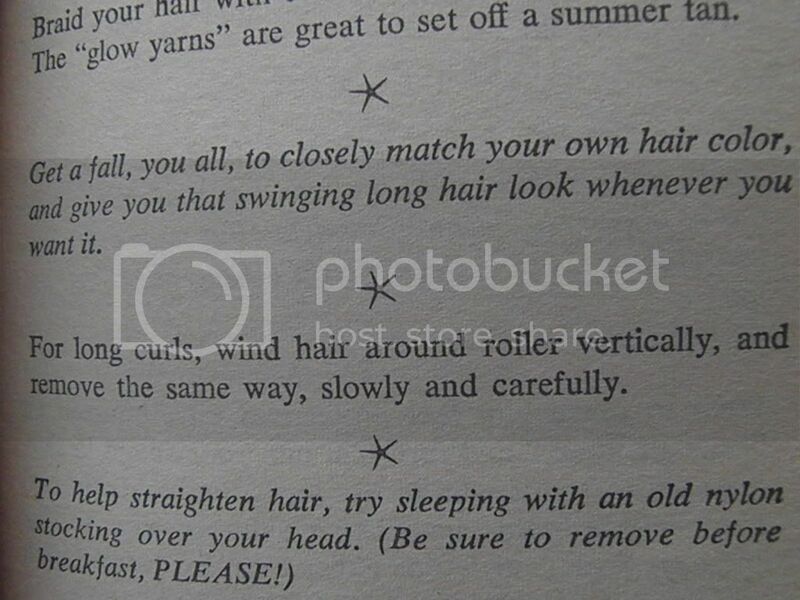 Oh, this book is just chock-full of these precious off-kilter gems of advice. i totally need this book now!